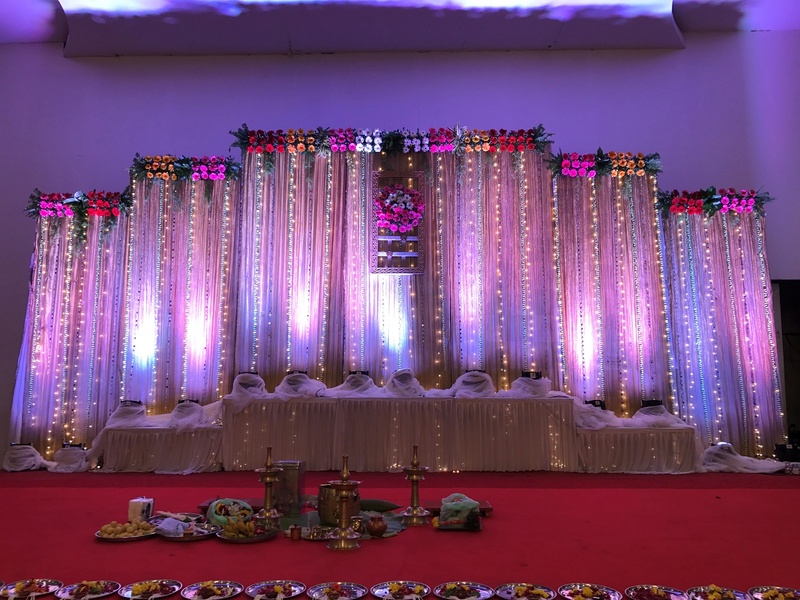 FM Banquet, Goregaon West, Mumbai has a height of 25 feet, which makes it a great venue to host your pre-wedding functions, wedding and reception ceremony. It is located on Kamath Club Lane and near the Goregaon Station which makes it convenient for all. F M Banquet Goregaon West serves flavoursome delicacies to choose from in both vegetarian and non-vegetarian food to their guests. The venue has decorative ceilings with inverted pyramid glass chandeliers and classy interiors that can adapt to a host of décor options. 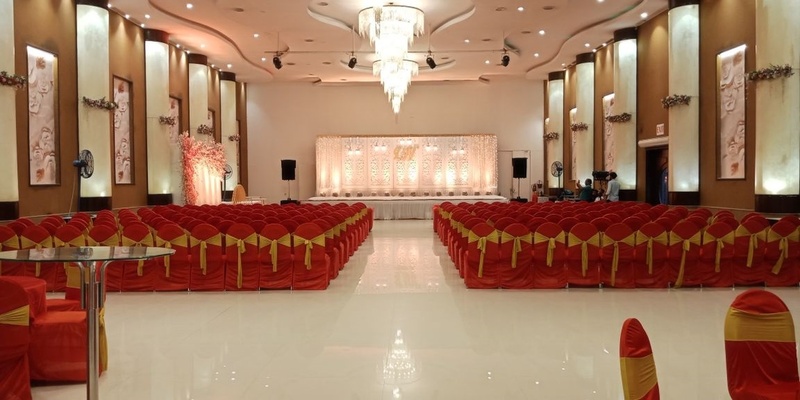 FM Banquet Hall Goregaon West has a spacious banquet hall that are ideal for having a big function. The elegant décor of the venue makes it an ideal option for a grand wedding. It has an inviting ambience which makes your guests feel welcomed. Plan your events at F M Banquet Hall Goregaon West to make them outstanding. FM Banquet has a pillarless banquet hall, it has a height of 25ft. It can cater 1200 people with seating of 700 at a time. The FM Banquet located in Goregaon West, Mumbai has Banquet Halls. Main Hall can accommodate upto 700 guests in seating and 1200 guests in floating. Vegetarian and Non Vegetarian food is served at this venue. Features of this wedding venues are : Food provided by the venue , Outside food/caterer allowed at the venue , Non-Veg allowed at the venue , Alcohol allowed at the venue , Outside alcohol allowed at the venue , Music allowed late , Halls are air Conditioned , Ample parking , Baarat allowed , Hawan allowed , Overnight wedding allowed , Decor provided by the venue , Packages starts at Rs 1400 per plate for vegetarian menu and at Rs 1700 for non veg menu. Decoration starts at Rs 200000. Get up to 10% off on events happening in next 20 days.